WaterTower Music have released Game of Thrones (Music from the HBO® Series) Season 7 – the new soundtrack featuring music from the award-winning HBO series by Grammy- and Emmy- Award nominated composer Ramin Djawadi (Westworld, Iron Man, Pacific Rim). The 24-track album is now available for sale digitally and for streaming. The soundtrack will also be available in physical CD format on September 29, and on a double vinyl set later this year. The album release comes in time for the conclusion of the 7th season of Game of Thrones, and follows the successful Game of Thrones Live Concert Experience Featuring Ramin Djawadi, a tour celebrating Djawadi’s music from the acclaimed series which visited 24 cities in the US and Canada earlier this year. 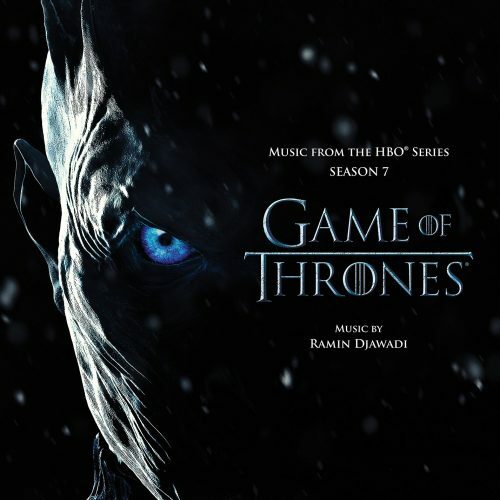 The Game of Thrones (Music from the HBO® Series) Season 7 soundtrack is now available for purchase digitally and for streaming. The CD version is now available for preorder. Based on George R.R. Martin’s fantasy book series A Song Of Ice and Fire, the Emmy® Award-winning drama series Game of Thrones follows kings and queens, knights and renegades, liars and noblemen who are engaged in a deadly cat-and-mouse game for control of the Seven Kingdoms of Westeros. The epic series’ storylines of treachery and nobility, family and honor, ambition and love, and death and survival have captured the imagination of fans globally and made it one of the most popular shows on television. The series recently broke HBO ratings records, averaging more than 19 million viewers throughout season 4. In 2014, Game of Thrones was the most searched TV show on Google and the #1 most talked about show on Facebook.